Hardcover, 9.5 x 10.25 in. / 73 pgs / 44 color. Edited by Jose Castannal, Oona Doyle. Text by Mario Vargas Llosa. 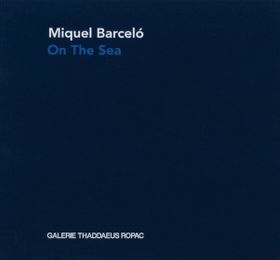 On the Sea features the most recent series by Spanish painter Miquel Barceló (born 1957). 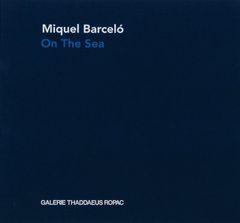 The exhibition catalog presents his textural and atmospheric paintings inspired by the seascapes of his native Mallorca, alongside a text by Nobel Prize Laureate Mario Vargas Llosa. FORMAT: Hbk, 9.5 x 10.25 in. / 73 pgs / 44 color. Published by Galerie Thaddaeus Ropac.